Paver restraints are essential components when building any paver project. Edge Restraints help keep pavers in place so they do not shift which will help maintain the longevity of your newly installed paver patio, walkway, or driveway. ​Installation of pavers can be done on either side of the B.E.A.S.T. 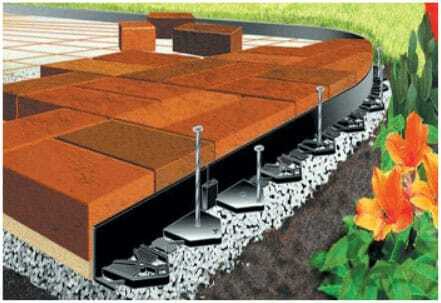 (Brickstop Eco-Edge Advanced System Technology) Paver Restraints and the restraint will remain hidden from view.